Do you need definitive SME market data? 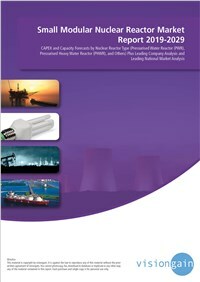 The $4.5bn small modular nuclear reactor sector is expected to flourish in the next few years because of the need to reduce the total capital costs of nuclear reactors. SMRs will be needed as large retirements of baseload generation, as an increase in intermittent renewables impact the grid negatively. This will feed growth in the latter part of the decade and drive the market to new heights. If you want to be part of this growing industry, then read on to discover how you can maximise your investment potential. What does the future hold for the SME industry?